The Brothers is not Masha Gessen's best book, but it sure is an interesting and quick read, like most of Gessen's stuff. 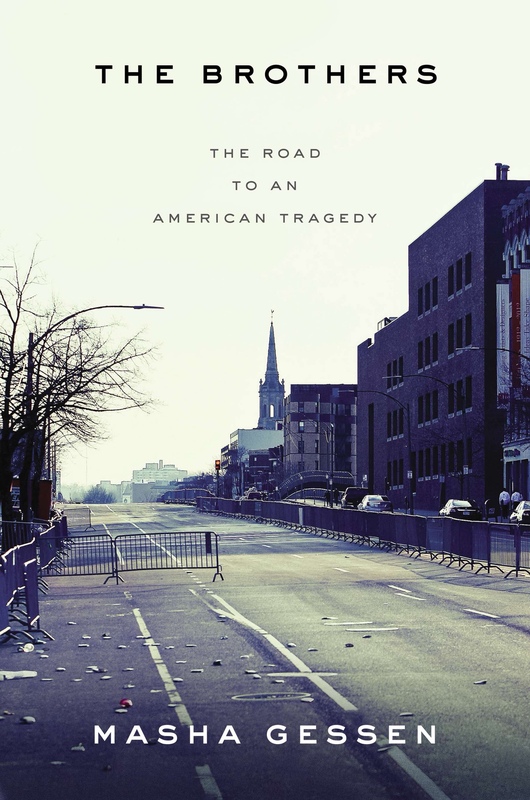 It may be incomplete and not investigative enough (published before the final sentence was pronounced for the surviving marathon bomber), the storyline may be not too polished – but nonetheless the first two parts (out of the total of three) are page-turners. The first is history – in particular, Chechnya and Dagestan history – well, rather the Tsarnaevs family story against the Soviet background – and later growing up in Boston of the two future perps. The second focuses on the day of the marathon and how friends, family, cops etc reacted to the fact that two perfectly ordinary boys turned out butchers. The trial part of the book is its weakest. It has tons of non-pertinent data, discussions, thoughts etc – but mostly, it's just pure speculation by the author. Why did they do it? Radicals? Oppose U.S. Foreign policy? Like hell we find out. The cops and FBI did quite a number of strange and spooky things? Well, who could've guessed otherwise. Capital punishment is wrong? Damn it ,in this very case I'm fully on board with the most liberal state of MA who has decided to put this curly baby to sleep with a proper pinch of potassium chloride in each of his arms. Собаке собачья смерть. A cur's death for a cur.